Finding homes for black cats over the years was always tough for animal shelters, and October was the toughest month of all. WASHINGTON — Finding homes for black cats over the years was always tough for animal shelters, and October was the toughest month of all. 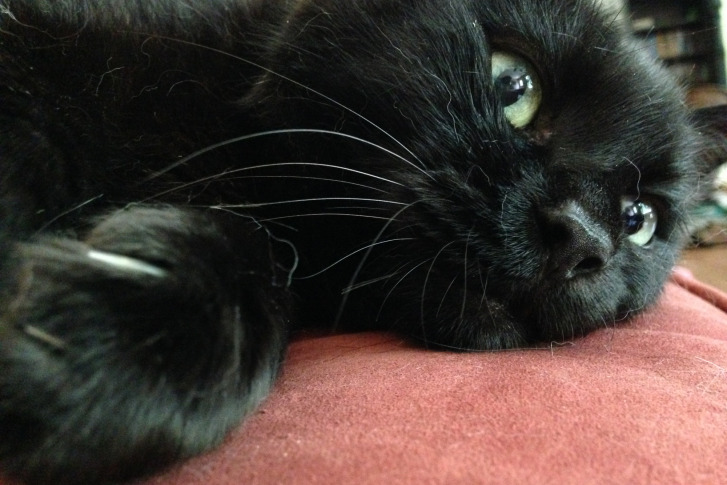 Black cats don’t necessarily photograph well, so adoption pictures could be uninviting to families. And in October, shelters have had to deal with Halloween superstitions and the possible harm that could come to such kitties because of them. “There was the idea that black cats would be kidnapped and used for sacrifice or other nefarious purposes,” says Kristen Auerbach, director of communications at the Fairfax County Animal Shelter. Many shelters hid their felines for the entire month and didn’t allow any adoptions at all. It was unfortunate, Brunt says, that this urban myth persisted through the years. But now, we know better. “There is no data to support that anything happens with black cats after adoption during Halloween,” Brunt says. The perception of possible harm coming to black cats this time of year still has some shelters around the country banning their adoption. But in the D.C. metro area, adoptions of cats of all colors will go on as usual this weekend. The Fairfax County Animal Shelter is waiving fees on all black and orange cats from Oct. 30 through Nov. 2. Matt Williams, from the The Washington Animal Rescue League, says they do not refrain from adopting black cats out around Halloween. Even at the Prince George’s County’s animal shelter — the last to change their policies locally — adoptions will continue. “We just have not seen any problems with black cats being mistreated here,” says Rodney Taylor, chief of the county’s animal management division. All local shelters put families through an extensive adoption and approval process when they want to adopt a cat. Brunt says that’s because they’re chosen less.